Percussionist, composer, & educator Nathan Daughtrey (b. 1975) is a musical chameleon who uses his wide-ranging talents to adapt comfortably to a variety of environments. As a performing artist and clinician for Yamaha percussion, Vic Firth sticks & mallets, Zildjian cymbals, and Black Swamp accessories, he has performed and given masterclasses and clinics throughout the United States and across three continents. 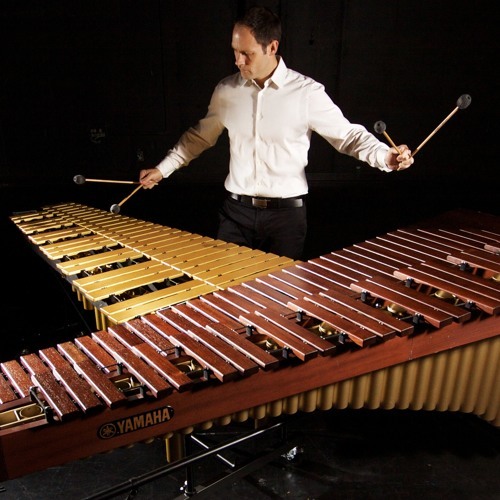 Nathan has recorded two solo marimba albums to date – "Spiral Passages" and "The Yuletide Marimba" – as well as several chamber music albums, including a recent collaboration with euphoniumist Brian Meixner titled "Praxis." With over 60 publications for percussion ensemble, concert band, orchestra, chamber ensembles, and soloists as well as an ever-growing number of commissions, Nathan balances his performing with composing, and to great acclaim. He is the only composer in the history of the Percussive Arts Society International Composition Contest to procure both 2nd and 3rd place in the same year with his percussion ensemble works "Limerick Daydreams" and "Adaptation," respectively. Nathan's compositions appear regularly on performances at PASIC, the Midwest Band and Orchestra Clinic, the Bands of America National Percussion Festival, and in concert halls and other performance venues around the world. His works have also been recorded on several albums by respected performers, including the FSU Percussion Ensemble, the Showa Wind Symphony conducted by Ray Cramer, the RoseWind Duo, and Mississippi State University. Additionally, three of his compositions for wind ensemble have been featured in three volumes of "Teaching Music Through Performance in Band." As an educator, Nathan served as a Visiting Lecturer of Percussion for three years at the University of North Carolina at Greensboro, where he taught applied percussion and conducted the Percussion Ensemble. He also served as a sabbatical replacement at the University of Oklahoma, where he taught undergraduate and graduate percussion students and conducted the world-renowned OU Percussion Orchestra. Dr. Daughtrey is currently a Visiting Lecturer of Percussion and Music Composition at High Point University (NC), where he teaches applied lessons, directs the percussion ensemble and works in collaboration with the School of Communication and Department of Dance. Nathan remains active within the Percussive Arts Society serving as a member of the Composition Contest Committee, organizing the PASIC Fun Runs on behalf of the Health and Wellness Committee, and editing the keyboard percussion articles for Percussive Notes.